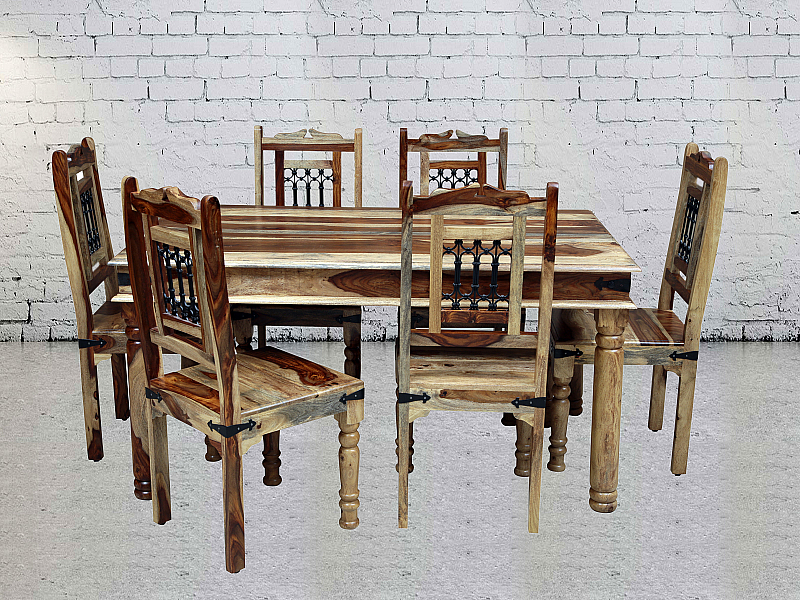 Nirvana Dining table set of 6 chairs Ethnic craft. 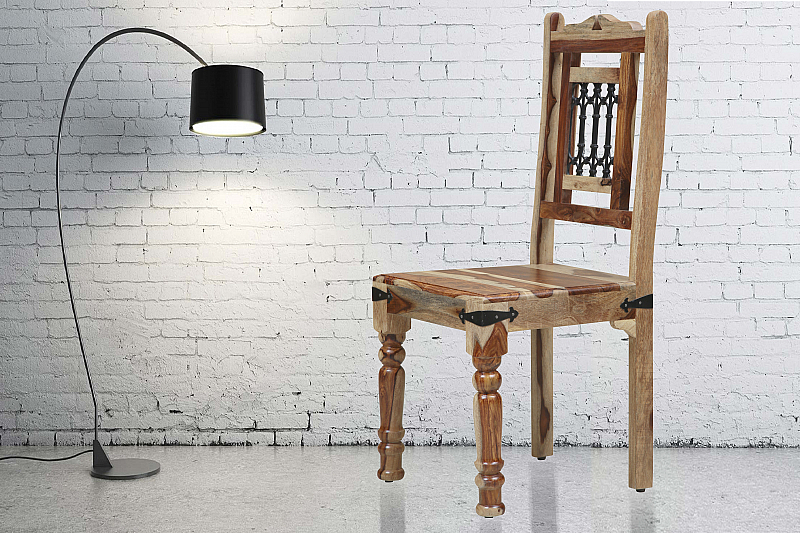 Ethnic design source "Takhat" is beautifully fused in this table and chair design. 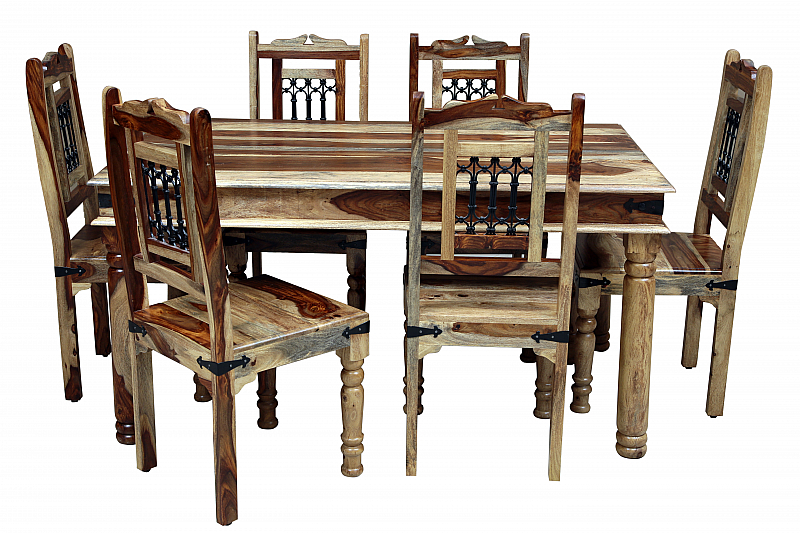 Hand twisted wrought iron jail in back gives style and aesthetic appeal to the whole set. Delivery Condition :- Delivery in Knock-Down and Assembled by Induscraft.